Successions in the European Union. Introduced by Regulation (EU) No. 650/2012 of the European Parliament and of the Council on jurisdiction, applicable law, recognition and enforcement of decisions and acceptance and enforcement of authentic instruments in matters of succession, the European Certificate of Succession shall be issued for use in another Member State. The Certificate shall produce its effects in all Member States, without any special procedure being required. The Certificate is for use by heirs, legatees having direct rights in the succession and executors of wills or administrators of the estate who, in another Member State, need to invoke their status or to exercise respectively their rights as heirs or legatees and/or their powers as executors of wills or administrators of the estate. 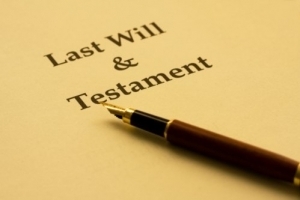 - the powers of the person mentioned in the Certificate to execute the will or administer the estate. The Certificate shall be presumed to accurately demonstrate elements which have been established under the law applicable to the succession or specific elements. The person mentioned in the Certificate as the heir, legatee, executor of the will or administrator of the estate shall be presumed to have the status mentioned in the Certificate and/or to hold the rights or the powers stated in the Certificate, with no conditions and/or restrictions being attached to those rights or powers other than those stated in the Certificate. The use of the Certificate shall not be mandatory. The Certificate shall not take the place of internal documents used for similar purposes in the Member States. However, once issued for use in another Member State, the Certificate shall also produce its effects in the Member State whose authorities issued it.